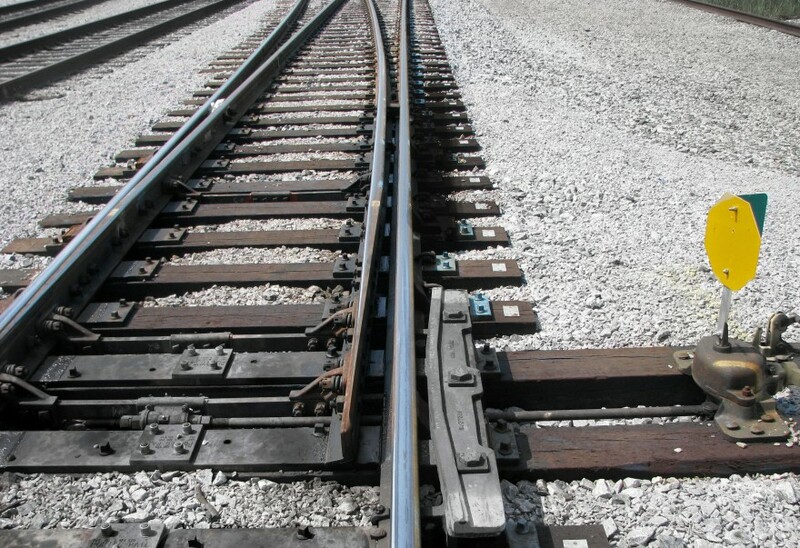 Cleveland Track Material, Inc. manufactures the Adjustable Switch Point Guard Rail, a proprietary Vossloh product that is used at the point of the switch. Switch Point Guards are designed to prolong the life of the switch points and stock rails, and to reduce the frequency of derailments at switches and yard operations. They are essentially heavy side braces located on the opposite of the switch point.